CiCi’s simple menu prices found here. CiCi’s invented the unlimited pizza buffet. Many have copied the concept but none can offer the value that CiCi’s does. CiCi’s realizes that differences are what add flavor to life. Go ahead, be different. Individuality rules at CiCi’s. The buffet table offers patrons hot pizza, crisp, flavorful salads, savory sides, and sweet-tasting dessert. All this for one low price. But there is more. Some locations are now offering crisp chicken wings in four different flavors (extra charge). A new item to the pizza buffet is Flatbread Pizza in 3 new flavors. In a hurry and can’t sit and eat. No need to worry. CiCi’s has a ToGo menu so you can take it home to satisfy your cravings. CiCi’s can also cater your next event. Earn rewards for every visit to CiCi’s. Download the CiCi’s app and earn a reward for each visit. Earn 5 visits and get a free buffet. The app also earns you exclusive offers and coupons. The app is compatible with iOS and Android. Head over to the CiCi’s website to learn more and download the app. CiCi’s Pizza Perks loyalty program is a great way to score great deals directly to your email inbox and get the latest news. Sign up is quick and free. The perfect gift for any occasion is a CiCi’s gift card. It is the best way to share the love for pizza. Guests can order traditional gift cards and have them sent via postal service or guests can order e-gift cards and have them delivered to the recipient’s email inbox instantly. Making good food choices is important. Cici’s Pizza makes it easy for guests to get the nutritional information of their menu items. Visit the official CiCi’s Pizza website to get detailed nutritional values before visiting your local CiCi’s location. Self-motivated and independent candidates are always in demand at CiCi’s Pizza. Potential candidates are encouraged to visit the official website to learn about current openings and apply online. 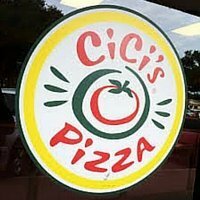 CiCi’s Pizza was founded in 1985 in Plano, Texas by Mike and Joe Cole. The pizza buffet concept coupled with one low fixed price has resulted in a successful endeavor with over 500 restaurants in 35 states. CiCi’s has been voted the best kid-friendly restaurant and a top family-friendly dining destination by several industry trade magazines. CiCi’s is privately owned and headquartered in Plano, Texas. Today, CiCi’s Pizza continues to bring people together to celebrate individuality and works every day to exceed customer’s expectations for food, service, and cleanliness. For more information about CiCi’s Pizza, visit their official website. What are the hours of operation for CiCi’s Pizza? CiCi’s Pizza hours of operation are from 11:00 am -10:00 pm Monday through Thursday. Friday and Saturday they close at 11:00 pm. south parkway has gone to hell this last several months……The food quality and quanty are minimal…The crew needs trainingy in p.r. and customer service and attention…The bathrooms are below gas station standards and almost unusable…We have been very devoted and regular patrons for years and years…We have no desire to return…I could continue but I fear it would be ignored…A rating of 1 would be very generous…! First off, you do not give a location for your review. Second, this is fast-food pizza; not to be compared to a regular pizzeria. Our local Cicis, here in Kissimmee, are good.